We offer a wide range of hotels near Coventry City from cheap accommodation to up market luxury hotels. Search our database of hotels to find the lowest rate for your stay closest to Ricoh Arena. A 20-minute drive from Birmingham NEC, Days Inn Corley is just off the M6 motorway and offers modern rooms with a flat-screen TV. There is free on-site parking and free WiFi. This Days Hotel is a 5-minute walk from Coventry city centre, and features a fine restaurant and a modern fitness suite. The hotel also has a 24-hour front desk, free parking and free Wi-Fi. Situated on the outskirts of Coventry, this spacious purpose built air conditioned hotel enjoys a prime location with easy access from the M6, M1 and M69 motorways. 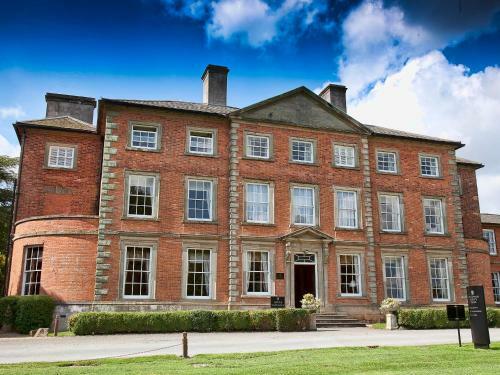 In a country village, the Ansty Hall Hotel is just 15 minutes’ drive from Coventry and 25 minutes from Birmingham. It offers spacious rooms with modern furnishings and free parking. On the outskirts of Coventry and with easy access to the area's major roads and the National Exhibition Centre (NEC), the hotel has its own 18-hole golf course and 20-metre indoor pool.